After watching this game vs. Buffalo, I almost had to hold my breath and eat my words, because the Panthers almost lost this game as well. 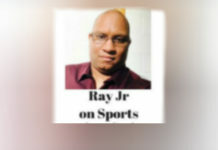 But as we know, almost only counts in horseshoes and hand grenades, because the Panthers were able to hold on to beat Buffalo 84-79 and improve to 7-2 on the season. Buffalo fell to 6-7. 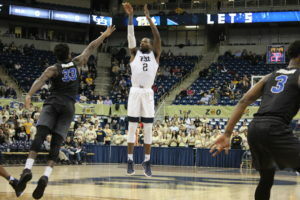 I know what you’re thinking: “How in the world did Pitt barely beat Buffalo?” Well, if you saw Friday’s loss to Duquesne, then you would’ve answered your own question. Talent alone will not beat an opponent, no matter how good or bad their record is. If a team isn’t prepared on game day, they will lose, plain and simple. After upsetting Maryland Tuesday (in a game in which they were prepared for) Pitt wasn’t prepared against the Dukes, and they lost. But that was then, and this is now. 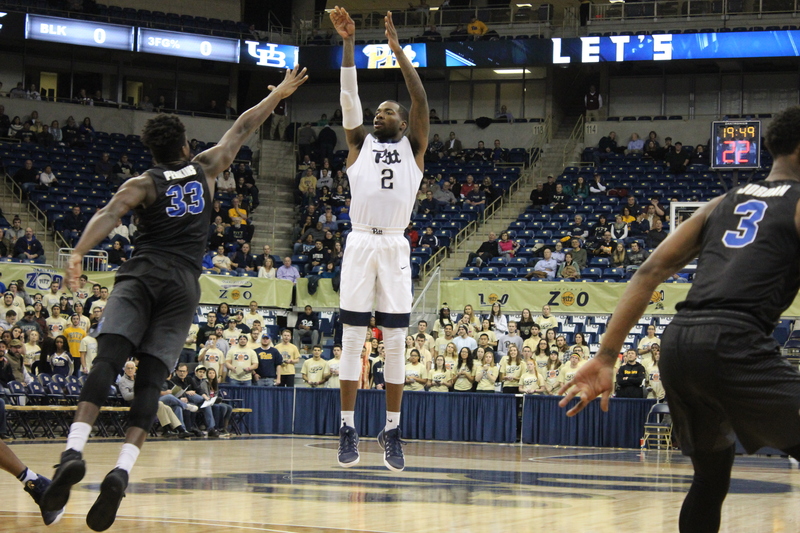 Pitt was looking to turn over a new leaf against Buffalo, and after the first jump ball, they looked like the team that we expected them to be: Quick scoring and high speed & to be honest, playing like they cared about winning. The Panthers breezed to 10-4, 27-6 and 41-18 leads in the first half. I noticed that they were playing selfless, team ball. Dishing the ball around and believe it or not, playing defense. Buffalo look a bit disheveled and appeared out of their league. It kind of reminded me of how non-conference teams looked when they played those 2007-2009 nationally ranked Pitt teams when they arrived at the Pete. 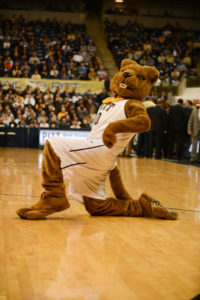 I honestly thought this game was in the bag after they led 41-18 and then I started thinking about how Pitt should thank the Dukes for helping them get their heads straight, but then Pitt started looking like the team that lost in the City Game: Sloppy shooting, and bad defense and suddenly Buffalo was back in this game. You don’t believe me? 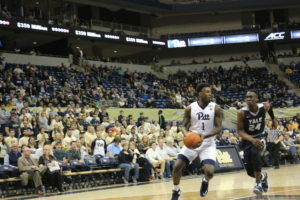 The score went from Pitt leading 41-18, to a halftime lead of 49-37. Observe: Pitt only scored eight more points compared to Buffalo’s 19 points. While the Panthers looked sloppy, the Bulls looked energized as both teams went into the locker room. It didn’t get any better in the second half as the Bulls started the scoring. Led by F Nick Perkins who looked like Alonzo Mourning out there (OK, mostly because his number is 33) the Bulls slowly turned a laughter into a game. What I saw on the court was a lackluster effort (once again) by senior F Mike Young, who looked like Superman early in the first half, then looked like bumbling Clark Kent in the second half. At least Clark Kent acted like he was clumsy, just so folks didn’t reveal his secret identity. Young on the other hand, wasn’t acting at all. Something is wrong. Maybe the pressure is on him? Maybe he’s realizing that he may not be as good as advertised? Whatever the reason, he needs to snap out of this funk. But what I also saw something different with the Panthers compared to Friday: They could hold onto their lead despite letting Buffalo back in the game. In fact, the Bulls never led once in this game, so that should stand for something. But before Pitt woke up, they had only led Buffalo 69-68 with only 6 minutes to play. Then F Sheldon Jeter hit a jumper and then G Brandon Johnson sort-of rebounded from his bad game against Duquesne and hit 2 clutch 3-pointers (one while falling on his backside) to push Buffalo away when they got as close as 71-68. The Panthers would then add key baskets via jumpers and free throws which helped make it impossible for the Bulls to pull off the upset. Ironically, the final points were scored by F Jamel Artis, who hurt his team by being suspended and Young on 2 free throws to seal the 84-79 victory. Here’s what HC Kevin Stallings had to say about this game: “I really liked our balance. When Mike Young got in foul trouble, other guys stepped up and played well.” I think he did have a point. 6 Panthers scored in double-figures with Young and Johnson leading with 17 points apiece. Artis (16), G Chris Jones (12) Jeter and F Ryan Luther had 11. Even with Artis in there, they didn’t rely on Young to win the game. But the others?? a big, fat zero from the rest of their bench. Not good. 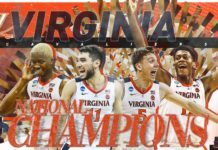 And that will hurt them when ACC Conference Play starts later in the month. 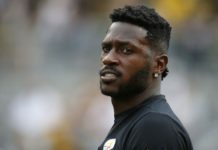 Again, I’m glad that Pitt won, and I do stand on a win being a win, but this team still has struggles that could make this a tough season for them if they don’t get it together. Because it certainly isn’t going to get any easier. Notes: The Panthers will travel to New Jersey to face Penn State in the Never Forget Tribute Classic Saturday and then they will return to the Petersen Events Center to face Rice December 17th.